« Has the Bible been corrupted, altered, edited, revised, or tampered with? Billy Graham was probably the first real superstar in the rising evangelical pop culture. Some men had fame, but Billy had charisma and was widely admired. He possessed stage presence, a handsome face and good hair, a zeal mixed with just the right dose of humility, access to big arenas and unlimited crowd appeal. He was the first Big Star. Mankind has always desired heroes to worship. And some men have been extraordinarily gifted, dynamic, and attractive – possessing superior talents and abilities. It is human nature, after all, to put eminent men on pedestals and exalt them as bigger-than-life Super Heroes. Some men are thought to be more than mere mortals. Hollywood contributed to the celebrity ethos in America, and even Jesus Christ became a Superstar in the Andrew Lloyd Webber rock opera of 1971. Rock ‘n roll artists paved the way, turning themselves into instant Idols. The Beatles led the music culture far beyond Elvis into the visionary pursuits of Eastern mysticism, transcendental meditation and drugs. Idolatrous teenage fawning over rock stars was mightily facilitated by altered states of consciousness. Star-following became a way of life in America. Fans, a term derived from “fanatic,” became the norm. From the earliest days of the modern evangelical movement the church followed the same sociological patterns as the culture at large and elevated certain men to Superior Status. By the late 1970s, as the broader evangelical media became an integral part of the American church landscape, leaders naturally – and unnaturally – arose. The television ministry became a new channel for popularity. In this climate of excess, Robert Schuller built his exotic Crystal Cathedral. The old humble revival meeting circuit gave way to the popular conference circuit. Prominent leaders like Pat Robertson and Dr. James Dobson rose to the forefront. Evangelical Stardom was birthed. Soon it became popular to name drop. “I attended a conference where Joyce Landorf spoke,” a friend bragged in 1978, “and I got to meet her IN PERSON afterwards!” The glitz, glitter and glamour of stardom had rubbed off just a little on a lesser mortal. Stardom flourished wherever Fans multiplied. Somehow Born-Againers never quite repented of their proclivity to follow the Stars. And a cult of leadership idolatry arose and became utterly acceptable. The only ones who seemed to notice with dismay were pastors who watched their own dethroning as their sheep flocked to the new ministry experts. Stardom took over the lucrative job of herding the sheep/fans. There was money to be had in Stardom. 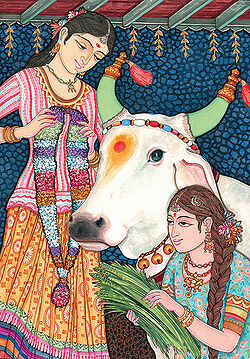 Sacred Cows are Cash Cows. The Stars thrived on publicity. They published books, wrote articles, went on tours, ran the gamut of conference circuits, and addressed receptive audiences from behind the fancy new plastic podiums in rising megachurches. Some Star Performers launched their own media outlets, and others formed mega-ministries. Their name became their brand name. Evangelical show business became big business. The parachurch ministries, which had previously lurked in the background as small mission-minded groups, mushroomed into the mainstream. A plethora of parachurch organizations arose to meet every possible sociological, psychological, economic or theological need. Each parachurch group featured its own Superstars – rank Showmen who marketed their niche product to the pan-evangelical church at-large. Some were Snake Oil Salesmen touting their wares, deceptive and deceitful. Meanwhile, “felt needs,” a desire-driven psychology, was the profitable fuel feeding the new Priesthood. “What he said made me feel so good; it felt so right,” was the popular refrain. Formulaic methods of crowd arousal were mixed with exuberant sessions of emotional catharsis, creating a sensation of hyper-spirituality. A Star had to know how to make people feel happy. Other Stars were propped up as the Scholarly Elite – the psycho-spiritual Experts, the business Gurus, and/or the mystical Change Agents. Sometimes, as in the case of Leonard Sweet, one man exemplified all three! Churches were Big Business after all, especially the megachurches. Consultants were needed to enhance ministry performance and profits. These purpose-enhanced, self-esteem-driven programs were based on secular management systems and tightly controlled standards. Big Box church leaders were trained to herd sheep into caged programs with pre-determined outcomes. Stifling. Sucking the life out of the sheep in order to obtain pseudo-spiritual results. Leadership Network, aptly named, trained an entire generation of evangelical leaders in the mechanics of sales and service à la Peter Drucker. Marketing dynamics became an essential component of the new evangelical methodology, replacing genuine conversion with a bell curve to shift the paradigm. Note: Laggards could never become Leaders. Only those willing to push the envelope of transformational change need apply for Stardom. Thus, a new fad-driven culture emerged in which the latest craze dominated the evangelical media outlets. Conferences and organizations proliferated under every agenda-propelled Star. Fads for Fans! The Image-driven Pastor became the mark of new leadership. An emerging pastor must become an Icon – the next Evangelical Idol. Slick Superstars were stage-managed, and careers were launched by Leadership Network, which specializes in guruship training via indoctrination in change theory. New-style “hip” churches were invented, attractional theologies were concocted, and carefully hand-selected Celebrities were placed on blazing career paths to head up the Emergent movement. A “hip” image-conscious counterculture was expected to push the boundaries of biblical orthodoxy into the New Age. Each new Leadership Network-fashioned Charmer developed his own brand name. “Image is everything.” Iconographic leadership. Servant-Leaders promulgated the myth of humility and asceticism. These were the new worldly Monks who enjoyed monetary success while chanting medieval mantras, publishing rambling books, and contemplating their rising spiritual acumen. It wasn’t enough to have worshippers and admirers. Plans grew more grandiose. They would charm the socks off of peons in the pews by jumping on the stewardship bandwagon to change the planet. Social justice, eradicating poverty and global transformation – how hip! The “missional” church would become Planetary Stewards. Stardom for Stewards! Smoke and mirrors characterized a certain segment of the leadership phenomenon. These men, naming it and claiming it, rose to fame and power by hype and extravaganza. Money, travel, influence, popularity, and extreme materialistic prosperity characterized a new breed of Braggadocios who thrived on incessant publicity and multiplying flocks of admirers. The more money promised, the more faithful followers to be had. Become rich by sending $uperpastor $tatus your dollars. Gold dust might even fall on your head! The New Apostolics traveled with their own band of self-appointed Prophets – Celestial Cheerleaders who gave them the extra-spiritual endorsement of exaltation. More than elites, these Apostolic Stars brazenly proclaimed their Superiority over not just mankind but even Heaven itself! Their aim would be Divine Dominion, and to enforce it they organized their followers into downline networking schemes that promised prosperity and passion, even godhood. They built their empire on the elite Gnosticism of secret spiritual messages that only their own self-anointed Mucky-Mucks could decode. Their pedestals would become Mountains where they claim they will reign. King of the mountain. With the downline sheep under their feet. Tithe upline and the man at the top becomes the Doyen of Dollars. A powerful and prosperous Stardom indeed. Yes, we are seeing the fruit of what has been planted and we know this; that every seed that God did not plant will be uprooted. “Woe to shepherds who are destroying and scattering the sheep of my pasture!” declares the LORD…………..
My family and I recently had to leave the United Methodist Church after 25 yrs. Due to the greed, sexual immorality, fear,intimidation, manipulation, and rebellion that openly operates with in the denomination. People are leaving mainline denominations in droves because they sat down and allowed culture to lead the church! Christ is the head of the Church and He will not allow man to steal His glory!